My birthday is on the 12th September and I have 3 brothers and 2 sisters. My favourite game is playing soccer. In Maya life is hard for children like me. But sponsor me today and you can change my world for good. Rene Isaac lives in Maya, Honduras. By sponsoring him, you can help his whole community, to make it a better place for children. 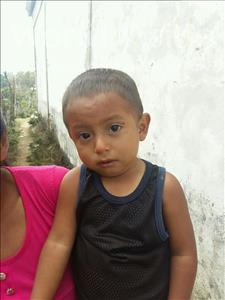 For children like Rene Isaac, growing up in Maya, hunger and malnutrition are facts of life. Parents don’t always know how to grow enough food to feed their children. Schools lack trained-teachers and basic learning materials. Your sponsorship can change Rene Isaac's world, and his community, for good.